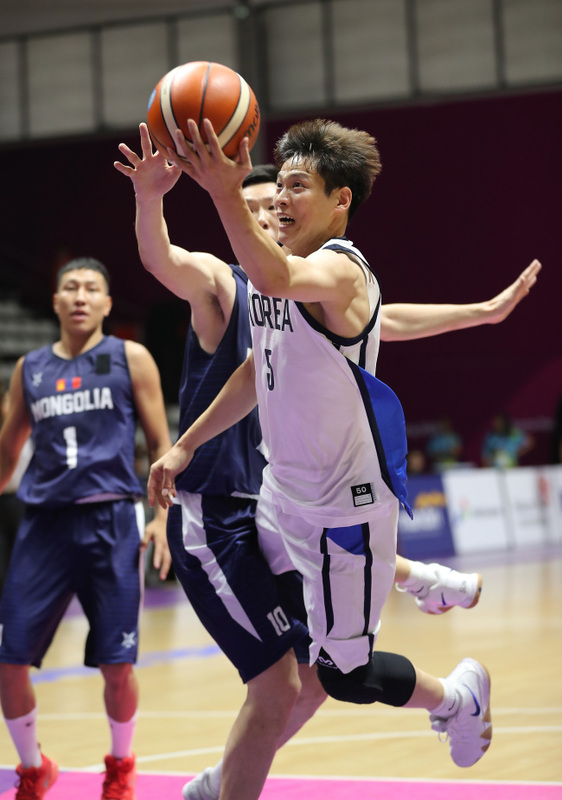 Defending champion South Korea breezed past Mongoalia 108-73 for its second straight victory in men's basketball at the Asian Games on Thursday. Ricardo Ratliffe, a U.S.-born player who acquired his South Korean citizenship in January this year, scored 19 points and grabbed 14 rebounds while only playing in the first half of the Group A game at GBK Basketball Hall. Forward Heo Il-young had 17 of his 20 points in the opening quarter alone while making six three-pointers. South Korea improved to 2-0 and is in the driver's seat for a spot in the quarterfinals as one of the top two seeds in the group. South Korea, which blew out Indonesia 104-65 on Tuesday, will close out the preliminary round against Thailand on Wednesday. The opening ceremony for the Asian Games is Saturday, but group stage matches in basketball, football and handball began last week for scheduling reasons. 26-15 for South Korea after the opening 12 minutes. Then with Heo resting on the bench in the second quarter, Ratliffe took over in the low post, as he poured in 17 points to help South Korea outscore Mongolia 30-17 in the frame. Mongolia outscored South Korea 24-23 in the third quarter, with a combination of sharp three-point shooting and South Korean offensive woes, but it wasn't nearly enough to turn the tide. South Korea was still in cruise control in the fourth quarter, with Jeon Jun-beom going 4-for-4 from downtown.